With both West Kowloon Cultural District and Central Harbourfront Space being used for large-scale events like Road to Ultra and Clockenflap, Hong Kong is experiencing a rising demand for large outdoor festivals and concerts. Key to the success of such events are the masterful sound engineers that run the booth from downbeat, such as the likes of 26-year-old Ash Tsang and his company BeatingHeart Sound+Light. 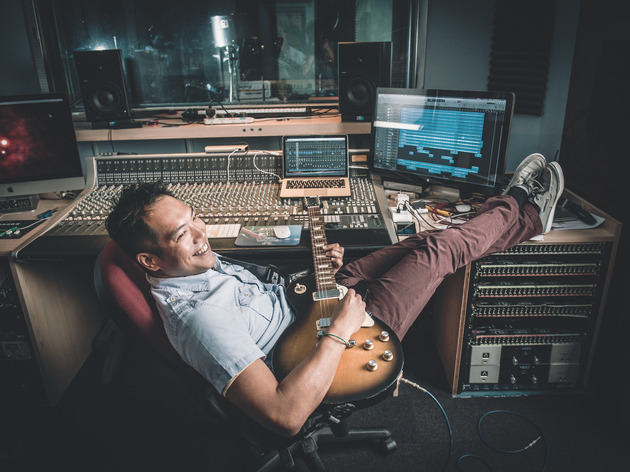 After studying in Australia at the School of Audio Engineering, in Melbourne, Tsang returned to Hong Kong to work as a production manager at the Vine Centre, before establishing BeatingHeart in 2013 in the space of a defunct live house. Now, Tsang frequently gets the call to take charge of many of the international acts that come through Hong Kong. 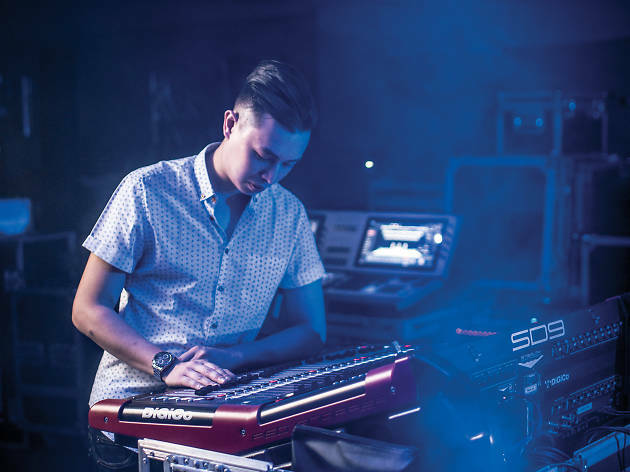 At Clockenflap, his company has run Club Minky and Tsang himself worked the main stage last year as an assistant engineer. Talent managers and label owners get a bad rap. Anyone who has watched an episode of Entourage and seen Ari Gold in action is likely to come away believing that managers and labels are generally concerned about the bottom line above all else. Yet in Hong Kong, songwriter, manager, owner and consultant Vicky Fung is breaking the mold. 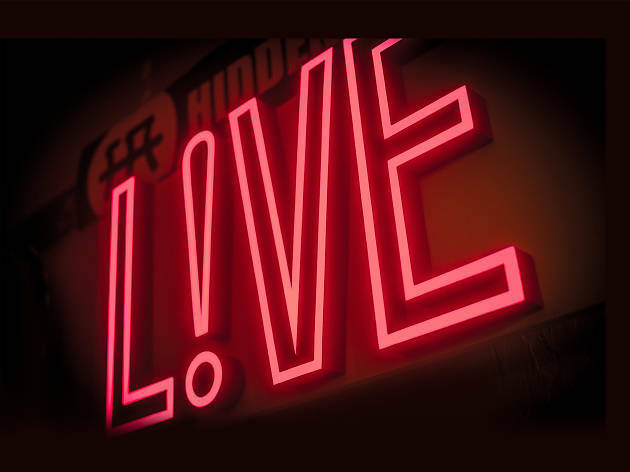 As the mastermind behind music crowdfunding platform MusicBee, indie label Frenzi Music, the late live house Backstage Live and happening new live space 1563 at the East, Fung maintains an artist-centric approach. 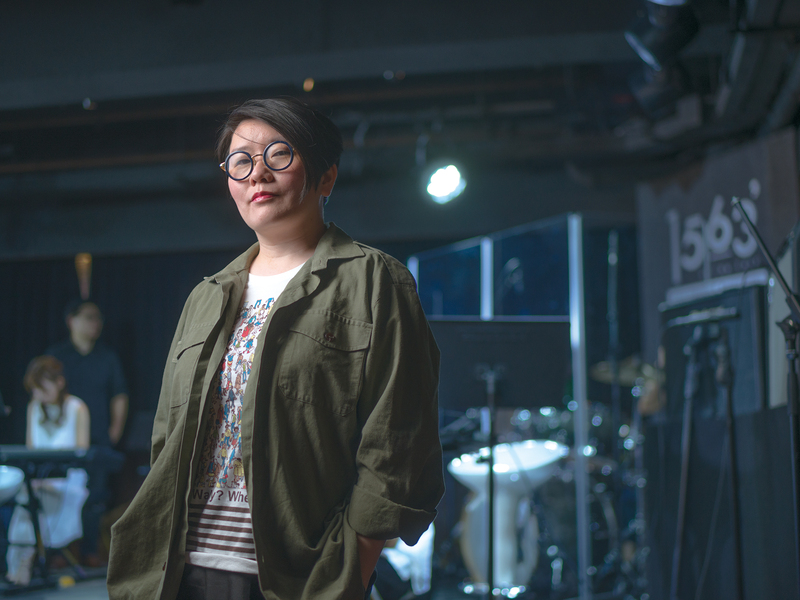 Fung brings up her relationship with Jing Wong, a formerly independent musician who she now manages. “He wanted someone,” she elaborates, “to be there with him to make tough decisions together. That’s what our team does and that’s why we started Frenzi. We believe that music is the key for artists.” Fung is clearly doing a decent job as she currently manages some of Hong Kong’s biggest up and comers, including Michael Lai, a busker turned singer-songwriter, and cinematic rock group Nowhere Boys. What powers this approach is Fung’s history as a songwriter and an artist herself. As a college student, she penned tunes for her classmates, but a throwaway track on a demo tape became Sammi Cheng’s 1996 hit Can’t Let Go. And from there, Fung became known for writing hits for leading female stars such as Amanda Lee and Joey Yung throughout the 90s and 00s. And now, Lee has the process down to a science. “I’d say you reserve one to two months to write and arrange, another one to two months to record it and one more month to mix and tweak it,” Lee concludes about making albums. 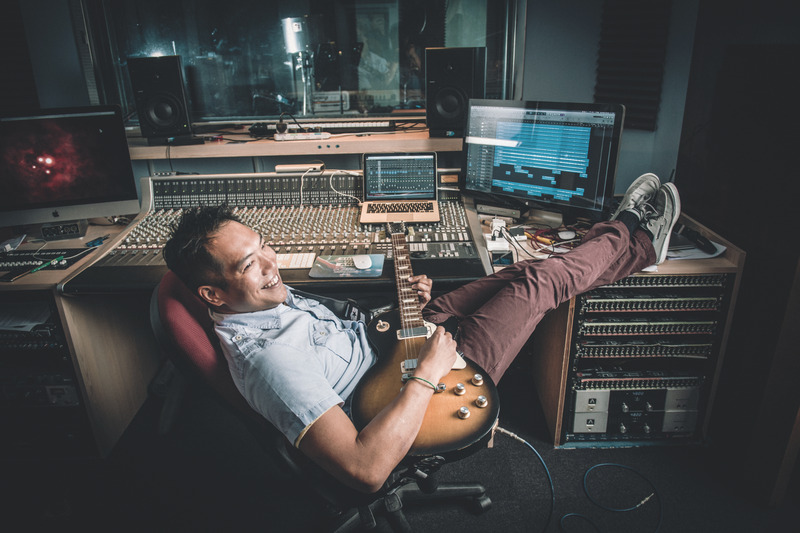 Celebrated jazz trumpeter Wynton Marsalis once said, “The heart of music is its rhythm.” And in Hong Kong, there’s no one with bigger rhythm and a bigger heart than session musician Chris Polanco. 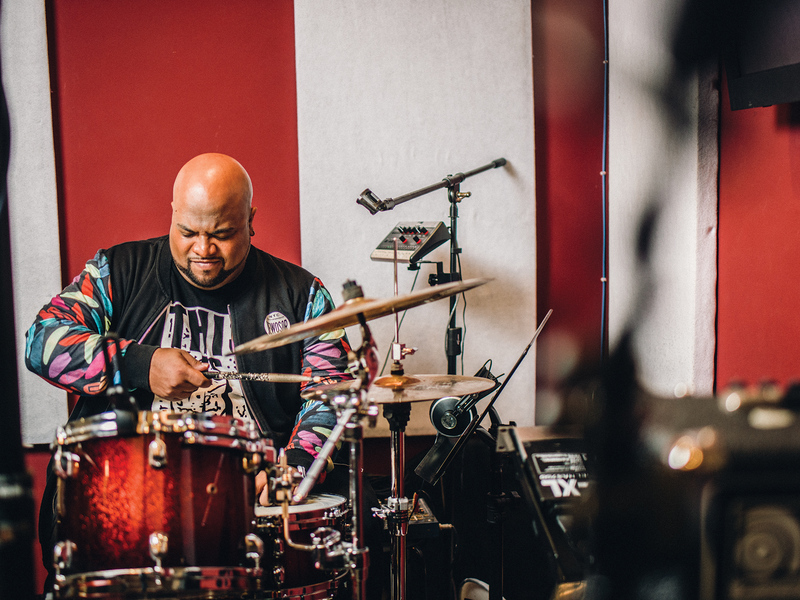 Widely considered one of the best session drummers in the SAR, Polanco is currently on tour with Eason Chan, visiting cities across China, while managing to keep up activities with his Latin band, Azucar Latina. The drummer is soon to debut as one of three percussionists in all-star septet Kongo & Seven Star Super-Band, where he’s performing under the moniker Hong Kong’s Face of Rhythm. Almost all of Hong Kong’s burgeoning talent cuts its teeth at one of our city’s handful of indie live houses. These are core places for artists to meet, perform, practice and mingle with the many established local and international acts that come through our city. One of the most prominent and pure facilitators of our underground music scene is Hidden Agenda and the man behind it, Steveo Hui. 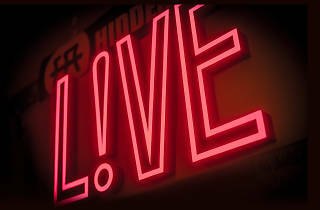 Hui’s history mirrors the live house’s impact on the scene: simple, humble and profound. Originally running a store that sold band merchandise, Hui moved to a 1,600sq ft band room in Sai Wan with a few friends when they were forced to close up shop. “One day, we suddenly thought of hosting a show there,” Hui remembers. “We built everything we needed within a month, we tore down walls, and we built a haphazard stage from a few planks.” The live space moved to Kwun Tong in late 2008, but was forced out and arrived at its current location in Ngau Tau Kok four years ago. "As long as I can see my son and daughter, I can do anything."